Electric Circuits Course with Lab. Learn how to master Electric Circuits with 25 lessons, hands-on labs, instructor support and a certificate of completion. This distance learning course was designed to give you hands on training in the field of Electric Circuits. Earn a professional Certificate of Completion in Electric Circuits suitable for framing when finished. Explore the fundamental principles of DC circuits, AC circuits, parallel and equivalent circuits, Ohm's law, Kirchoff's laws, series, diodes, transistors, capacitors, transformers, semiconductors, amplifier configurations and advanced soldering techniques. The laboratory portion of the course teaches how to make current and voltage measurements. In addition it gives hands on training with series and parallel circuits and Kirchhoff's laws. Be familiar with AC to DC conversion. Be able to construct and analyze half-wave and full wave power supplies. Understand the troubleshooting procedures in regards to power supplies. Be familiar with general principles that apply to all amplifiers. Be able to construct and analyze transistor amplifiers. Understand Ohm's and Kirchhoff's laws. Understand the multimeter and how to take measurements. Perform resistance, current and voltage readings in circuits. Use Kirchhoff's laws to simplify circuit analysis. Learn the operation of capacitors and inductors. Calculate the impedance of capacitors and inductors. Be familiar with current and voltage calculations in AC circuits. Understand resonant circuits and their characteristics. Be able to perform AC readings in a circuit. Understand the operation of diodes and their limitations. This course consists of twenty-five lesson assignments. Each lesson requires you to read topics, or portions thereof, and to answer questions based on the assigned readings. You should solve all the problems in the exercise sections before continuing to the next topic and perform all the laboratory experiments. Master the concepts presented within each reading assignment. Solve all problems in all exercise sections. Take time to compare your laboratory results with the expected results based on theory. Students are required to complete all performance requirements above. Each of the twenty-five assignments concludes with an examination comprising of a multiple-choice test. The assignment examinations are open book. Goals: Upon completion of these lessons the student will be familiar with current and voltage, the units used to express them and how to calculate them. Goals: Upon the completion of these lessons the student will understand the power distribution system. Goals: Upon completion of these lessons the student will be familiar with resistance, conductors, and insulators to a home and how to choose a proper extension cord. Goals: Upon completion of these lessons the student will be familiar with resistance, current and voltage, their calculation, conductors and insulators. Goals: Upon completion of these lessons the student will be able to trace circuits including circuit boards and identify components. Goals: Upon completion of these lessons the student will be able to identify series and parallel circuits, determine equivalent circuit perform calculations as related to these circuits, use Kirchhoff's law. Goals: Upon completion of these lessons the student will understand parallel and series circuits, finding current, voltage and resistance in each, and the expression of power. 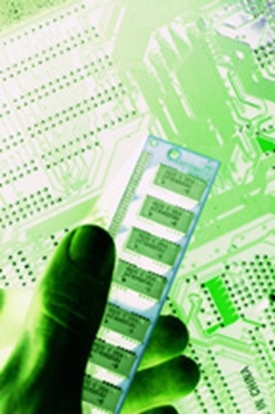 Goals: Upon the completion of this lesson the student will be able to trace circuits and identify components, build a continuity, transistor tester and construct a 2 transistor siren, they will also learn about solder, flux, temperature requirements, and be able to solder components on a printed circuit boards. Finally, the student will be able to solder and work with printed circuit boards, know how to tin an iron, splice connections and tack solder. Goals: Upon the completion of this lesson the student will understand the construction and operation of the multimeter, its scales and ranges, both analog and digital. Making practical continuity tests and resistance checks is emphasized. Goals: Upon the completion of this lesson the student will be familiar with the CIE lab unit and its components. Goals: Upon the completion of this lesson the student will be able to measure voltage and current in series and parallel resistive circuits, including a basic bridge circuit. Goals: Upon the completion of this lesson the student will be able to calculate the power in DC circuits and experimentally prove the values. The maximum power transfer curve is proven through experimentation. Goals: Upon the completion of this lesson the student will be familiar with current and voltage calculations in both simple and complex DC circuits. Current and voltage laws of Kirchhoff are analyzed. Goals: Upon the completion of this lesson the student will be able to simplify circuit analysis by utilizing Kirchhoff's laws. This lesson compliments lesson 2314 by construction various series and parallel circuits and verifying Kirchhoff's current and voltage law's. Our unique lab will give you hands on training with circuits, capacitors, inductors, transformers, experiments on resonance, filters, amplifiers and much more. In addition, this Electric Circuits Course with Lab comes with Superior Student Privileges so you never have to study alone! You have access to our faculty and staff if you ever need assistance with your course work. CIE's dedicated staff of instructors do more than just grade your exams; they help guide you, step-by-step, through your studies and hands-on electronics experiments. Your submitted exams will be graded and emailed back to you within 24 hours. Take your exams online on our e-grade web site. After finishing the Electric Circuits course you'll receive a certificate of completion in Electric Circuits suitable for framing! How do I enroll in the Electric Circuits Course with Lab? 1. You can enroll online (click the 'Add to Cart' button). 2. Call us at (800) 321-2155 and ask for the Electric Circuits course with lab (01-EET111). CIE Bookstore's affordable Electric Circuits Course will provide step-by-step electronics training you can do at home. 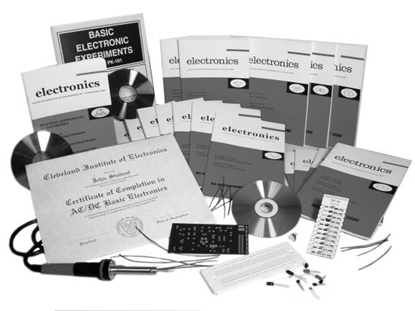 Learning electronics has never been easier! This course is in stock. This course is designed to explore the principles of AC circuits with emphasis on steady state AC circuits, along with relationships of frequency and impedance being analyzed and resonance studied. 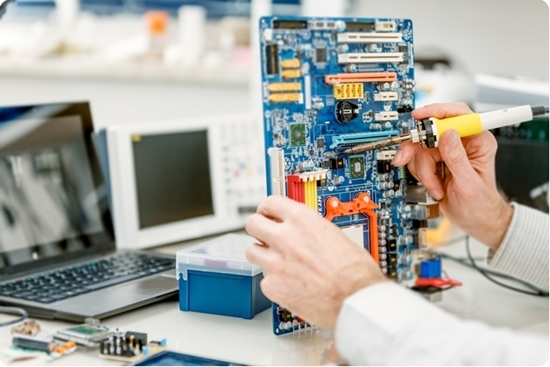 Our basic electronics course with hands-on training lab allows you to learn electronics troubleshooting at home with real world experiments and online exams.